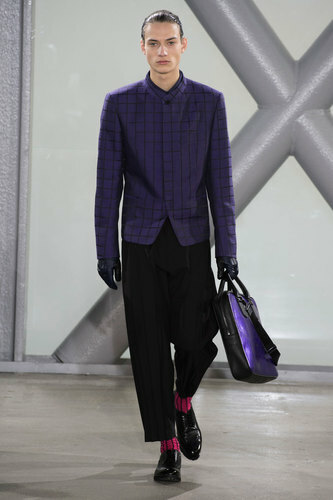 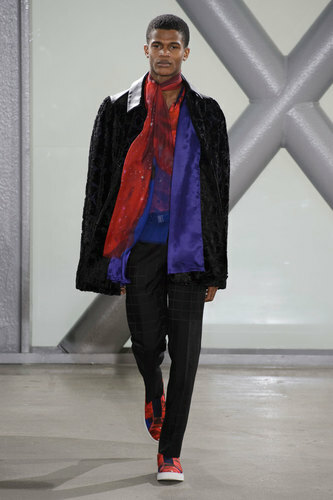 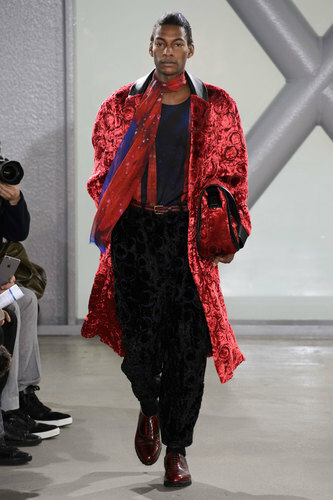 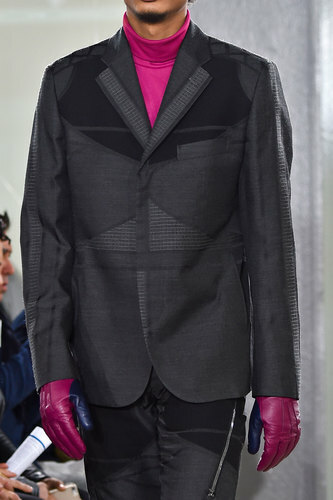 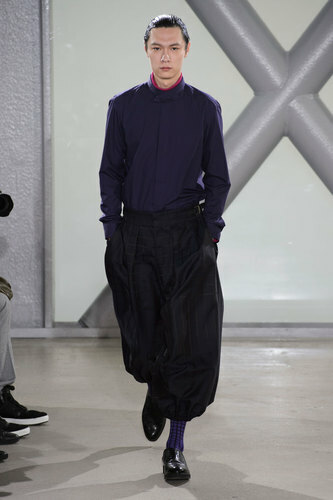 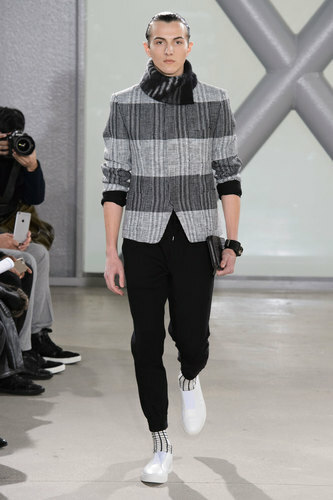 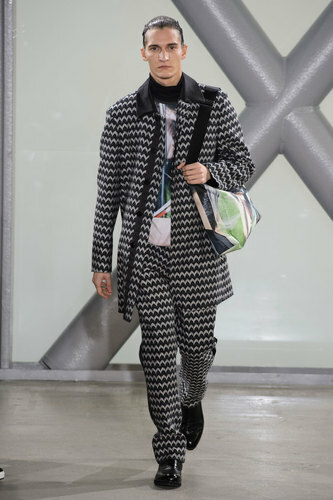 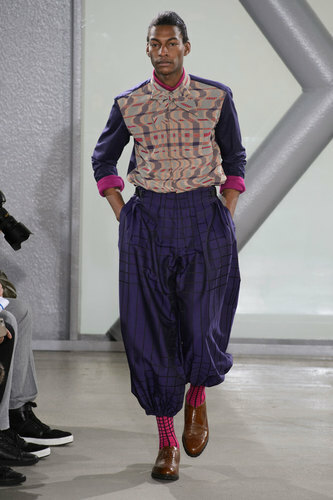 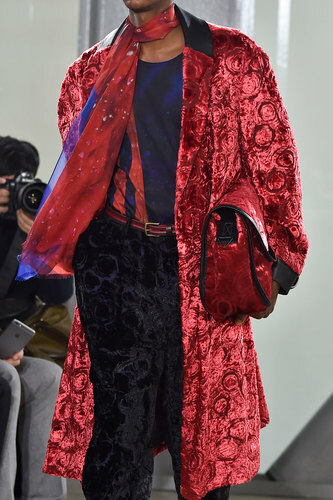 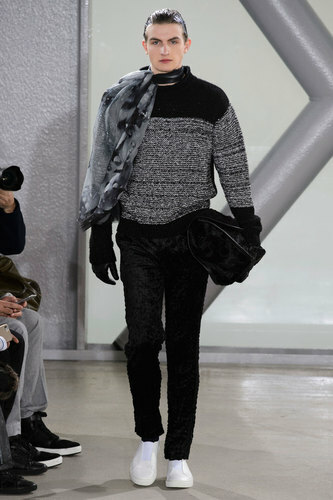 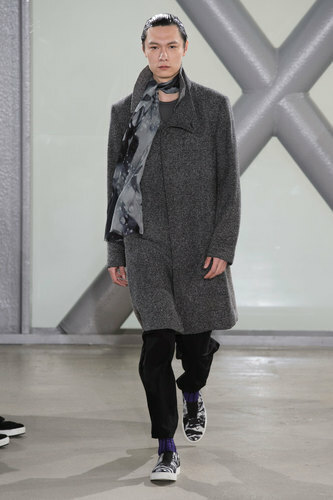 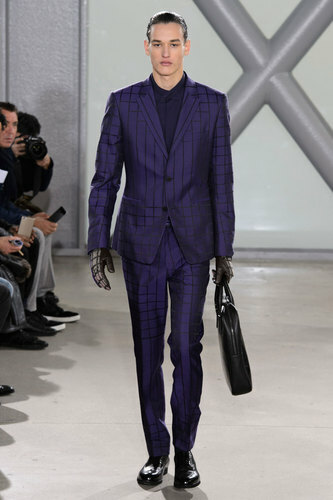 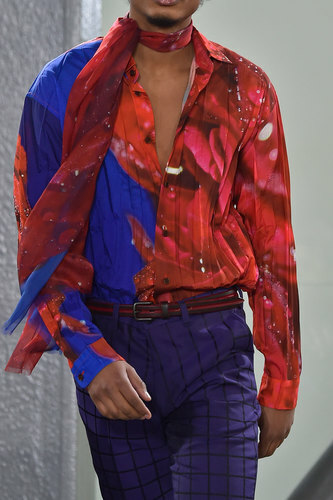 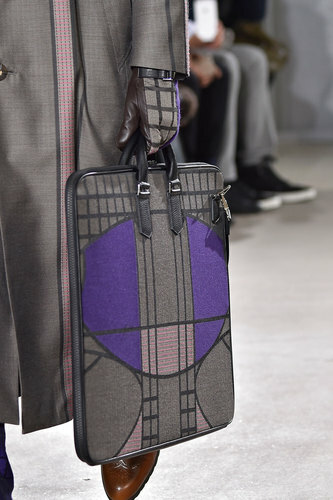 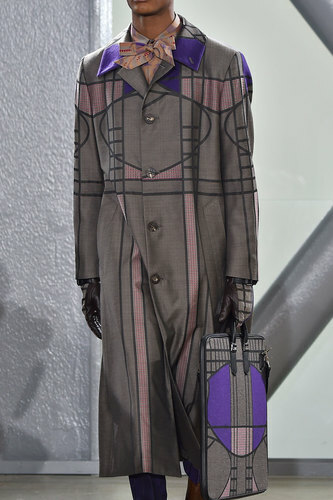 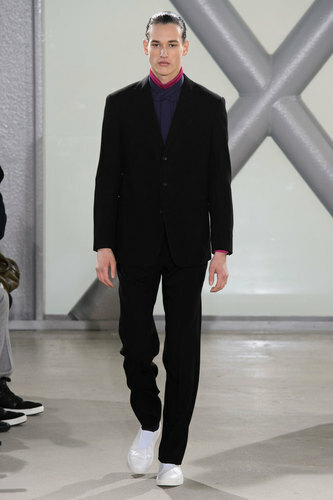 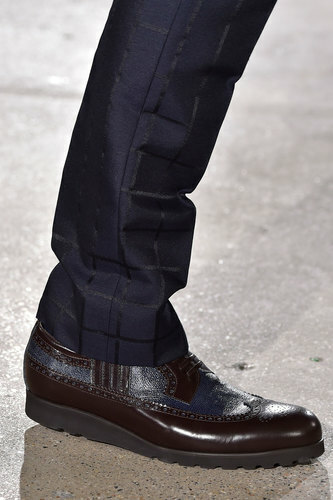 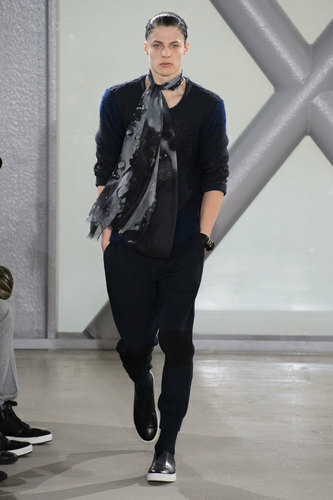 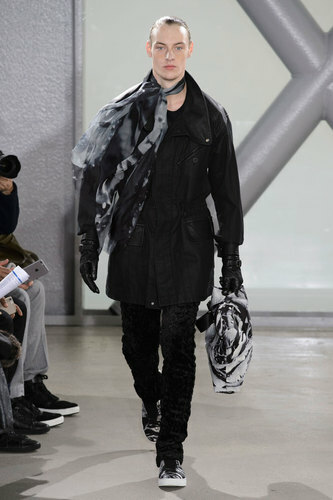 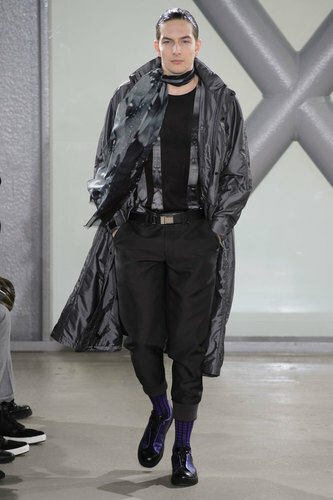 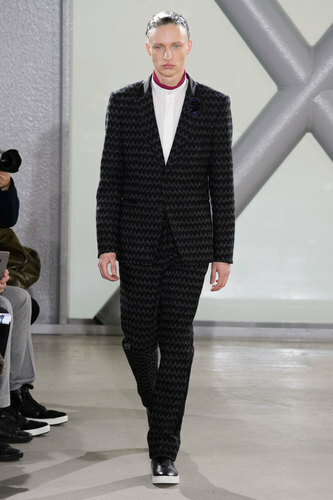 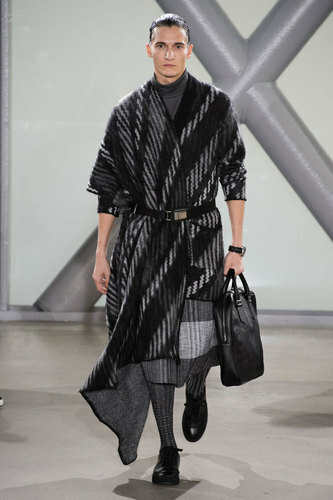 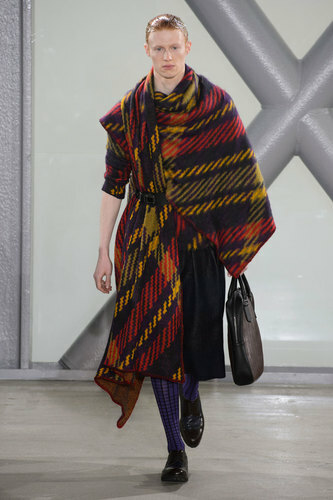 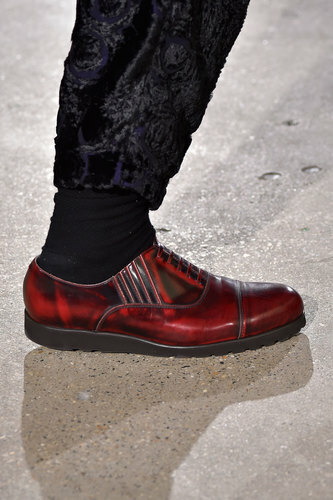 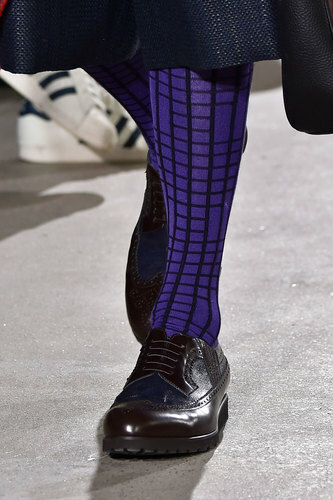 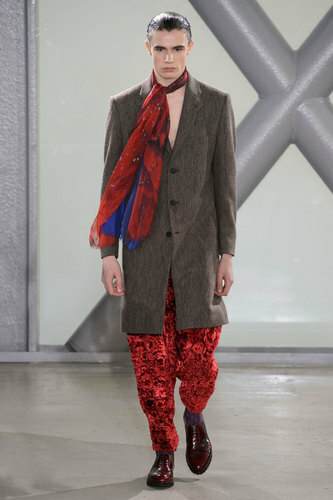 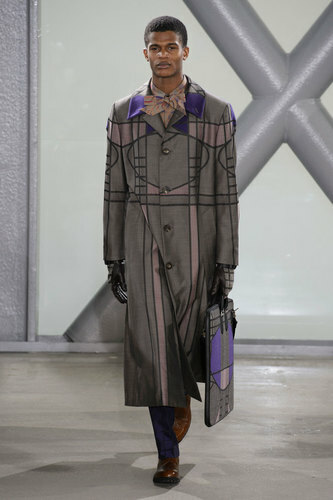 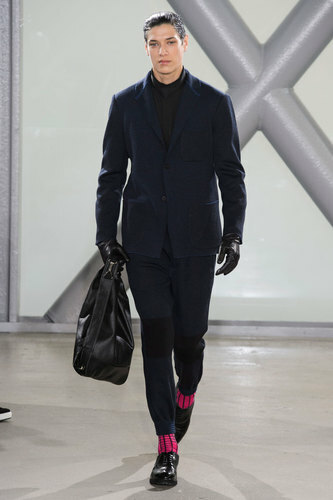 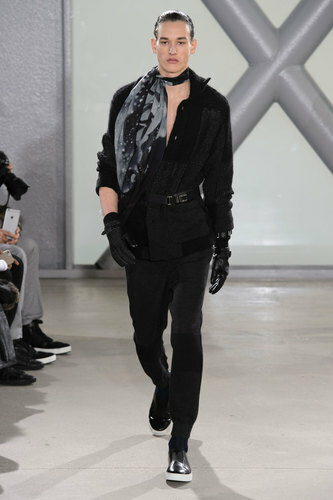 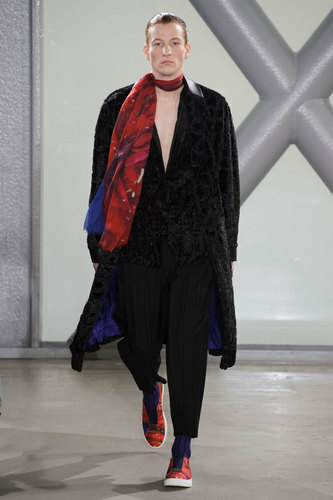 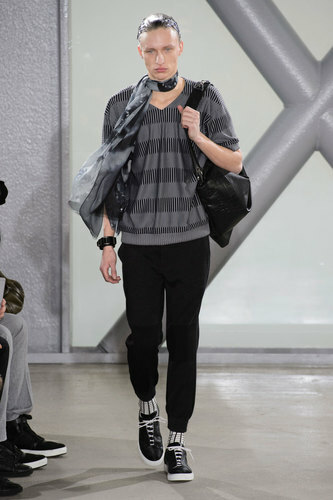 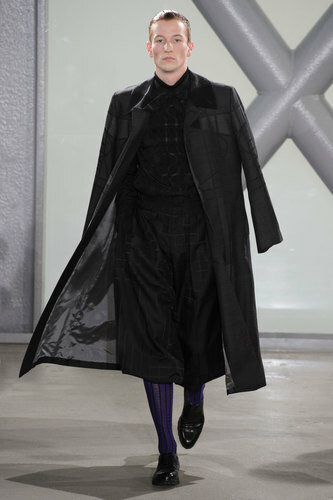 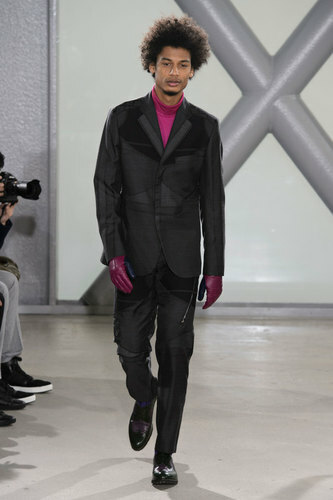 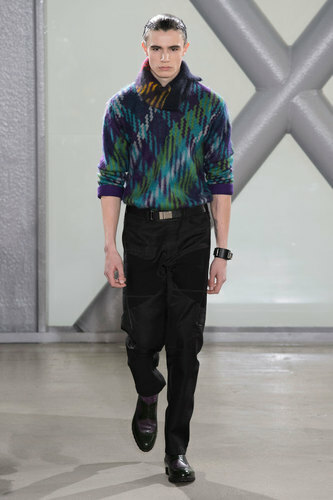 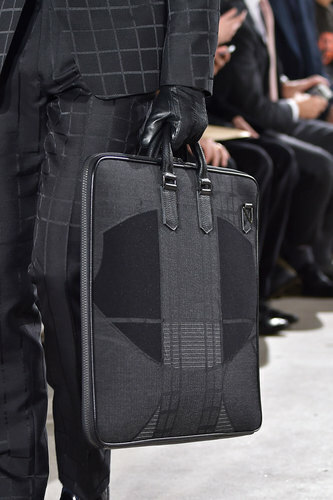 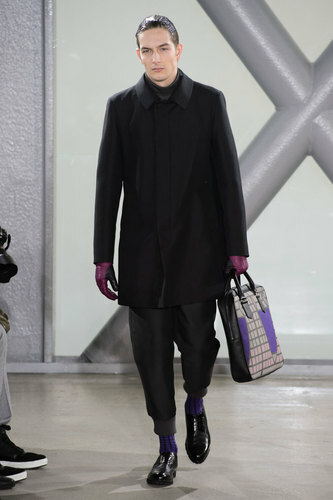 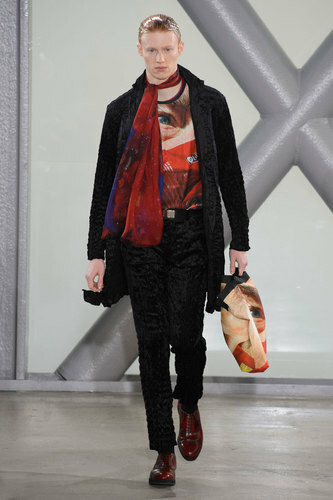 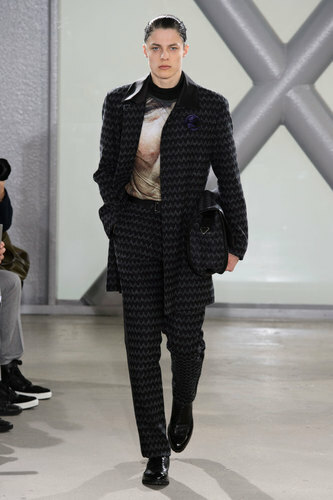 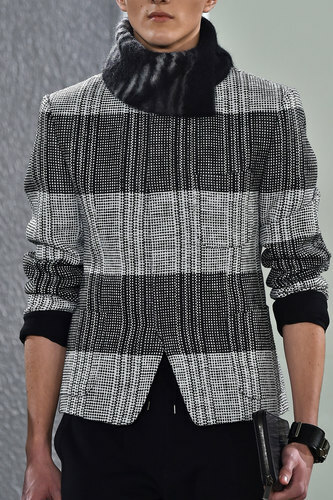 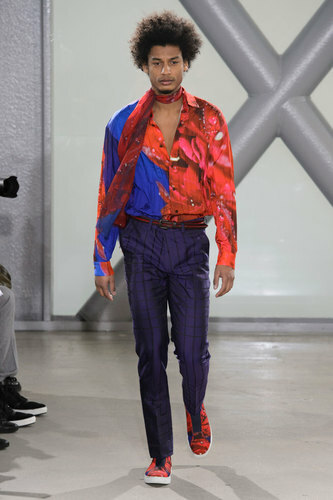 Issey Miyake Men Autumn-Winter 2015-16 – Issey Miyake’s use of geometric shapes and experimental colours are utterly desirable. 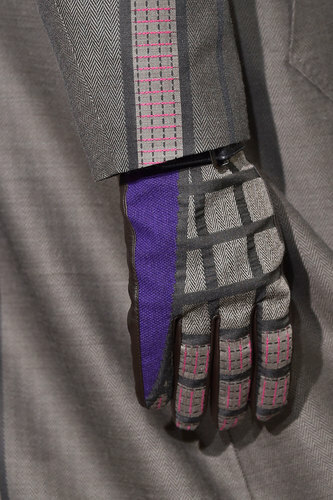 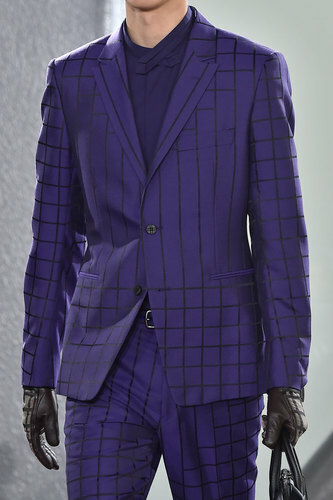 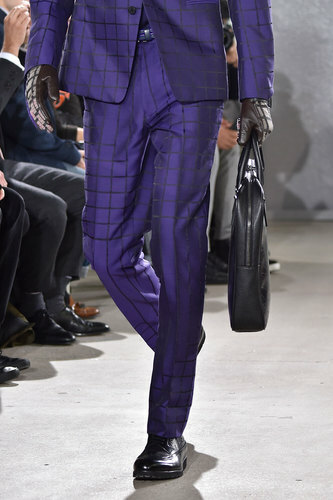 The richness of the purples toned with the square print creates warmth and depth whilst still being extremely formal and functional for work wear. 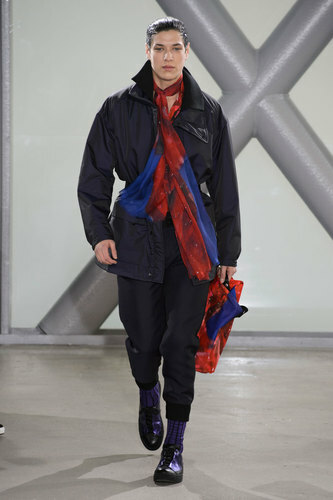 Miyake pushes all barriers when it comes to daring looks; a low buttoned shirt with a delicately placed neck scarf oozes femininity whilst the tailored trousers and casual footwear balances it out to masculine finesse. 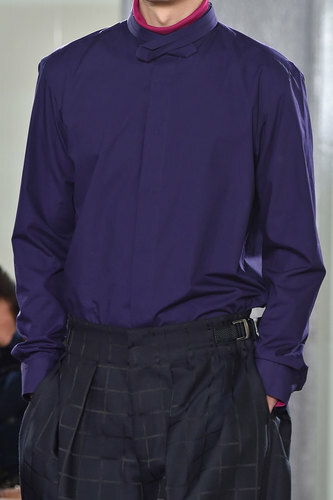 Whilst dark colours of blacks and greys are the epitome of a charming and well-dressed gentleman, the added touch of pinks and purples breaks up the serious tones and adds more character. 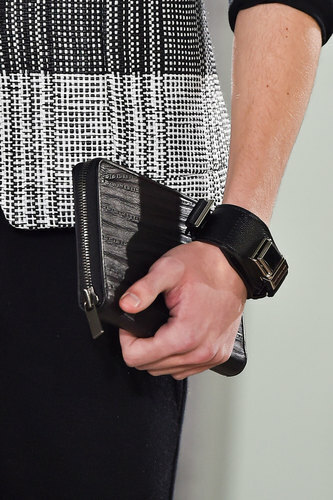 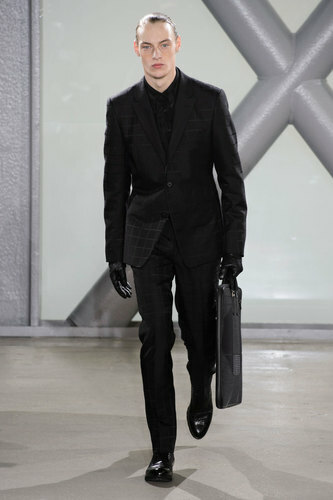 Keep your hands warm with a simple, classic pair of black, leather gloves and add texture with fabrics. 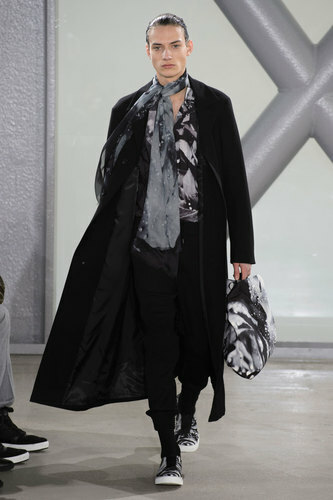 Fur, tweed and satin are definite must haves for this season! 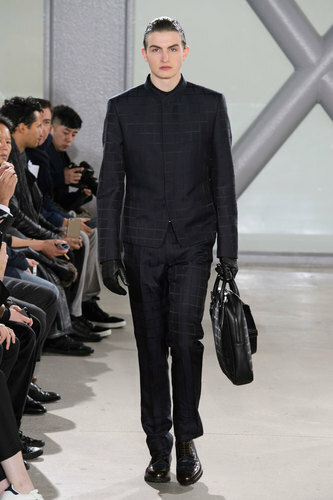 Monochrome is also a popular favourite for both work wear and casual; a crisp white shirt and shoes with a black tailored suit keeps a cool look for a sophisticated man.